In an August 12th, 2015 NY Times article, James Estrin describes how Steven Sasson invented the digital camera in the mid-1970s while working for Kodak. Ironically, Kodak, the company that George Eastman had formed in the 19th century to monetize his world-changing photo technology, proved incapable of pivoting to take advantage of the game-changing 20th century photo technology that one of their very own scientists had cobbled together in a Kodak lab. Anyone interested in new technologies (and especially the services that are just beginning to show the potential of web-connected mobile screens and lenses: e.g., Snapchat, Buzzfeed, YouTube and Vine - as well as the emerging platforms for AR and VR) should probably pay attention to what happened at Kodak and Steven Sasson's story. Like Steven Sasson 40 years ago - young tinkerers right now are Frankensteining ideas from existing devices and services into a new types of machines and services. In some cases those inventors are working for companies that - like Kodak - won't be able to take advantage of these new tools. Harvard Business School professor Clay Christensen calls it low-end disruption - when a new product offers a simpler, cheaper or more convenient alternative to an existing product such that "the customers lost typically are unprofitable for the incumbents, so the big companies are happy to lose them." 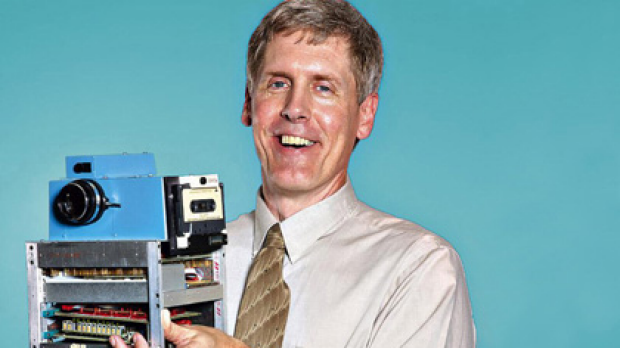 In other words, the failure of Kodak to adapt wasn't just because the early prototype digital camera (the one that Steve Sasson is holding in the picture above) was crude. As explained in a very helpful Feb. 16th, 2015 TechCrunch article about disruption: "Incumbents appropriately ignore the new product because it is uneconomic to respond, but the incumbents’ quiescence can lead to their later downfall." In the next 40 years, I have no doubt that filmmakers will look back (at Google Glass and today's VR devices?) and marvel at how rough the efforts circa 2105 were. In the 1970s, Steven Sasson was unable to interest his bosses in marketing his new device. Does anyone doubt that right now there are young inventors working on apps or devices that could unleash yet another world-changing paradigm shift in digital image capture and interaction? Sure... the tools available to young inventors are generally humble and ungainly. But should we mock the innovators on platforms like Vine and Snapchat? Looking back, it's now very clear: When Steven Sasson cobbled together a lens from a Super 8 camera, a CCD, some circuit boards and a digital cassette recorder, a disruption in the Old World film business (including the death of film processing and the demise of all the jobs associated with printing, transporting and handling the physical materials of Old World film) became essentially inevitable. But what were the leaders at Kodak supposed to do back in the 1970s? 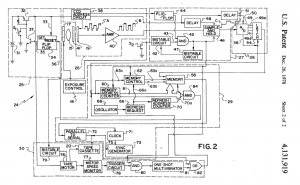 Once US Patent #4131919 was issued to Kodak on Dec. 26th 1978, Kodak could have started making digital cameras and playback devices. But every digital camera they sold would have eaten into their world-leading profits from Old World film sales and processing. The nature of "low-end disruption" is that it doesn't make sense for a big company to shift into the new model. For example, it doesn't make sense for Paramount Pictures to start making YouTube and Vine videos. The big Hollywood studios have overhead and a distribution model that can't be sustained by making short videos for the web. That inability to pivot, allows newcomers - like YouTube, Buzzfeed Motion Pictures and Vine - to begin offering their admittedly crude (cheaper and, for the time, inferior in many ways) product to customers who just want convenient motion picture entertainment. As time goes by, the successful newcomers can redefine the market. As long as the newcomers are capturing customers and revenue - while offering a new service - the newcomers can grow and perhaps eventually undermine the revenue model and profits from the Old World incumbent's core business. "The main objections came from the marketing and business sides. Kodak had a virtual monopoly on the United States photography market, and made money on every step of the photographic process. If you wanted to photograph your child’s birthday party you would likely be using a Kodak Instamatic, Kodak film and Kodak flash cubes. You would have it processed either at the corner drugstore or mail the film to Kodak and get back prints made with Kodak chemistry on Kodak paper. It was an excellent business model."